For every area of home improvement, repair, and construction, rely on the experienced team of general contractors in St. Louis, MO, that you can trust. Since 1974, Peller Construction has been providing high-quality construction services to households throughout the area. Our craftsmanship and customer service have earned us a reputation as one of the finest St. Louis construction companies. Our family-owned-and-operated business is dedicated to providing any general construction your family needs, and our proud union carpenters are devoted to the highest level of workmanship and skilled labor. Any construction project is a serious undertaking, and you deserve a general contractor who is knowledgeable, meticulous, and experienced. We are prepared for any job you need, and have all the skills and equipment necessary to bring it to a satisfactory conclusion. Let us give your house the total refresh it needs to be secure and comfortable for you and your family. Contact us for a free assessment, and one of our expert planners will walk through the area to be improved with you to determine your needs and vision for the space and give you a fair estimate. Whether you want a custom new home built from the ground up, or you need a rebuild after disastrous damage, count on our expert work to get the job done efficiently, affordably, and right the first time. Many customers throughout the years have trusted our construction services. We are happy to provide testimonials and examples of past work to help you make the right decision. 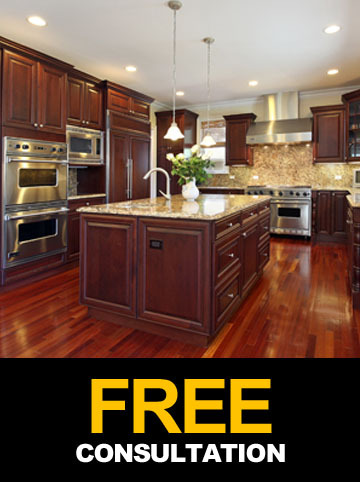 Contact us today for a free assessment of any of your home's needs. Peller Construction proudly serves St. Louis, Fenton, Sunset Hills, Chesterfield, Bridgeton, and the surrounding areas in Missouri. St. Louis, Fenton, Sunset Hills, Maryland Heights, Bridgeton, and the surrounding areas in Missouri.